For more than three decades, Ford’s Colony Williamsburg has set the standard for gracious private community living, having been voted the Number One master-planned community in America. This 3,000 acre gated golf community offers a superior selection of home styles and neighborhoods, a complete range of country club amenities, the privacy you desire and the Ford’s Colony reputation for excellence in everything they do. You’ll be delighted to discover how economical the good life can be at Ford’s Colony. While our mild four-season climate will go easy on your heating bills, you’ll find that Virginia’s gentle climate for taxation will go easy on your finances. You see, Virginia’s cost of living compares most favorably to America as a whole. “Kiplinger’s Personal Finance” ranks Virginia as having the 7th lowest taxes in the country. History buffs enjoy the benefits of the Historic Triangle: Williamsburg, Jamestown, and Yorktown with free access to all local residents. Interested in higher learning? Residents over the age of 60 may audit classes for free at the second oldest college in America, William & Mary. If you enjoy volunteering your time, our residents are involved with virtually every volunteer organization in our area. Best of all, you can get involved right in your own backyard. The Ford’s Colony activities committee, directed by the homeowners, provides residents the opportunity to meet their neighbors and participate in a wide variety of activities. Currently, there are over 60+ organized activities with more being added all the time. There is a full range of lifestyle options including custom homes set along one of the community’s three superb golf courses, lake view settings, and gorgeous nature preserve locations. The custom homes in Ford’s Colony are rich in architectural tradition, with designs reflecting the Greek revival, Georgian, Federal and Colonial styles. Ford’s Colony residents, who come from across the country and around the world with diverse backgrounds, experiences, and careers, all agree: Ford’s Colony is a wonderful place to live. Currently, about 5,000 residents call Ford’s Colony home, living in nearly 2,500 homes and townhouses. By the time the community is completely established, it will number more than 7,000 residents in 3,250 homes, condominiums, and townhouses. Ford’s Colony is a gated community, designed and built along landscaped roads that meander in and around three golf courses and a landscape of ponds, wetlands, and forests. Although many of it’s residents are retired, it is not a retirement community; nearly half of the residents work, either full or part-time. There are young families with children, many of whom attend elementary school adjacent to the community, and high school just down the road. The middle school and a new community college are a few miles away and the College of William & Mary is within a ten-minute drive. Ford’s Colony has over 5,400 residents including working professionals in business, government, education, healthcare and the military; semi-retired professionals; and retirees. Based on 2016 public school enrollment, there are 373 school age children residing in Ford’s Colony attending K-12 public schools. This number does not include Ford’s Colony children attending Walsingham and other K-12 private schools in the area or college-age residents attending William & Mary or Thomas Nelson Community College. A quarter of the 184 households moving into Ford’s Colony in 2015 had children under age 19.
Who is the typical Ford’s Colony Buyer ? Surveys have found that the average demographics of the buyer have changed little for more than 30 years in planned communities featuring golf. The average buyer is 54 years old, married, affluent, and successful in a working career.The average buyer will move to Ford’s Colony in six to seven years, and is generally not affected by swings in the economy in deciding when to purchase, when to retire from the current job, and when to move to Ford’s Colony. This targeted market continues to grow in numbers. The first wave of baby boomers turns 60 this year. The largest wave of retirees, with a span of 15 years (2025), has yet to reach the average retirement period of 62-67 years. Based on surveys of new residents conducted by Ford’s Colony Security, the number of families with school-age children has tracked steadily at about 10%. Most of the rest are retired, semi-retired, or empty nesters. 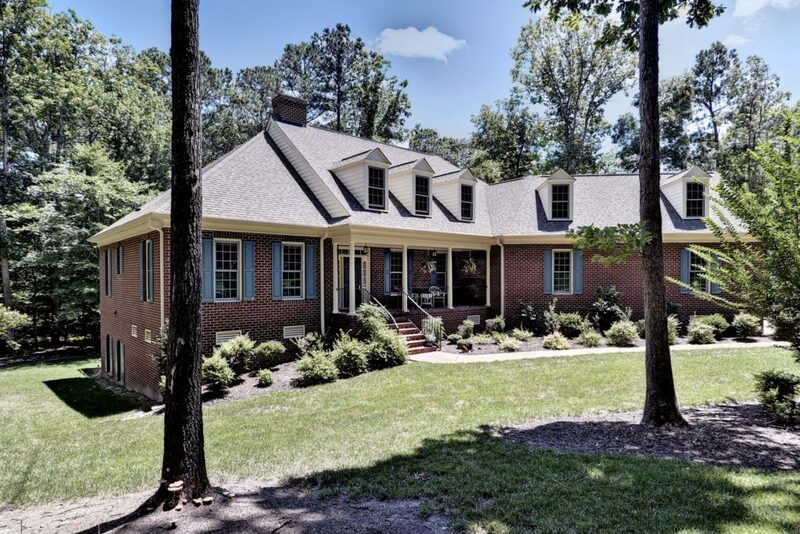 Ford’s Colony is situated in the Historic Triangle, comprised of Williamsburg, Jamestown, and Yorktown; the beautiful Colonial Parkway connects all three. It is surrounded by a wide range of entertainment, arts and cultural venues, fantastic shopping and great dining. The City of Newport News is a half hour away; Richmond, Norfolk, and Virginia Beach are about an hour away; and Washington, D.C. is less than a three-hour drive. To the west, there is Charlottesville and the Blue Ridge Mountains. No wonder we think we are right in the center of everything! The community has activities that suit every taste. 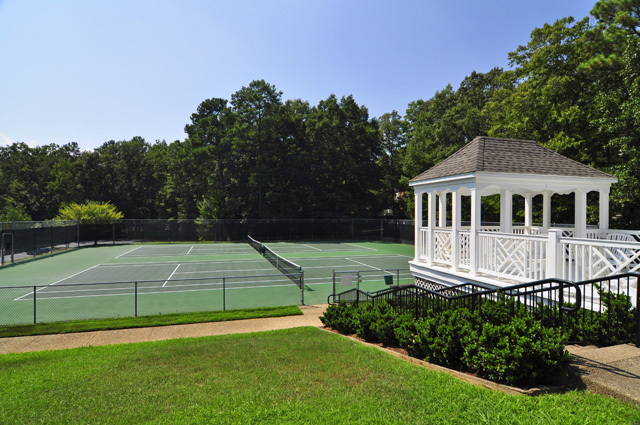 Residents participate in over forty association-sponsored clubs and activities; enjoy two community pools, hard and clay tennis courts, a nature trail, walking and bicycle paths as well as the Ford’s Colony Country Club. Our citizens also take civic responsibilities seriously. Many of our residents are active volunteers, both inside our gates and with organizations across the Historic Triangle. Ford’s Colony is incorporated under the laws of Virginia to promote common interests of its members and to provide for the management, maintenance, and care of common property. A Board comprised of seven Directors manages the Association. Directors are elected to the board each February for two-year terms. The Board employs a management company that provides and directs all personnel required to properly maintain and operate the Association and its numerous facilities. According to a Fords Colony 2014 Resident Survey, people selected a lot or home in Ford’s Colony for five main reasons: the general appearance of the community, safety and security, our architectural standards, the presence of the country club with its three golf courses, and our HOA activities and clubs. Furthermore, 98% of the residents indicated they would recommend Ford’s Colony to their friends. New residents are greeted by our Welcome Committee and provided with a package of community and local information. encourages people to sign up for monthly social groups. We live in Ford’s Colony and have seen a huge shift in demographics since we moved here. We were kind of an anomaly in the community when we first purchased. Everyone around us was retired and the average age at newcomer gatherings seemed to be well over 70. Our block now is filled with a lovely mixture of young families, retirees, DINKS, and recent empty nesters. As I run through the community I see the same shift. Teenagers, retirees, moms pushing carriages… the full gamut. I think it can only be good news for the community – it feels very alive and much more neighborly. 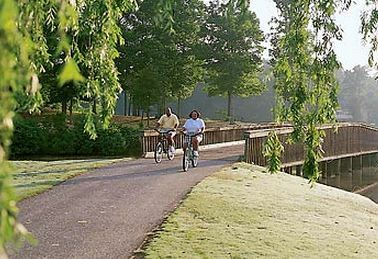 Ford’s Colony offers virtually every housing option ( Detached homes, Town homes condos and maintenance free detached homes) as well as a long list of amenities, including 14 tennis courts, two swimming pools, soccer fields, 15 miles of walking trails and 38 ponds stocked with bass and other fish. The Colony Room is an exclusive member’s only dining room features a well-appointed bar, cozy atmosphere and a well-trained staff. Before a hand of bridge, after a round of golf or at the end of a full day at Ford’s Colony, nothing could be more satisfying than relaxing at the Colony Room. Its congenial members-only atmosphere promotes lively conversation over lunch or dinner. And just as you’ll enjoy the laid-back surroundings, you’ll also savor excellent fare from seafood and steak selections to lighter entrees. When dining at the Colony Room, you can order from our celebrated wine list and indulge in our homemade bread and pastries. Murdoch’s (OPEN TO THE PUBLIC) features casual American Bistro cuisine with fresh, innovative and beautifully paired food in a comfortable atmosphere. Located next to the Golf Shop, Murdoch’s is the perfect spot to have lunch before your round or relax with a cocktail at the bar after a long day at work. 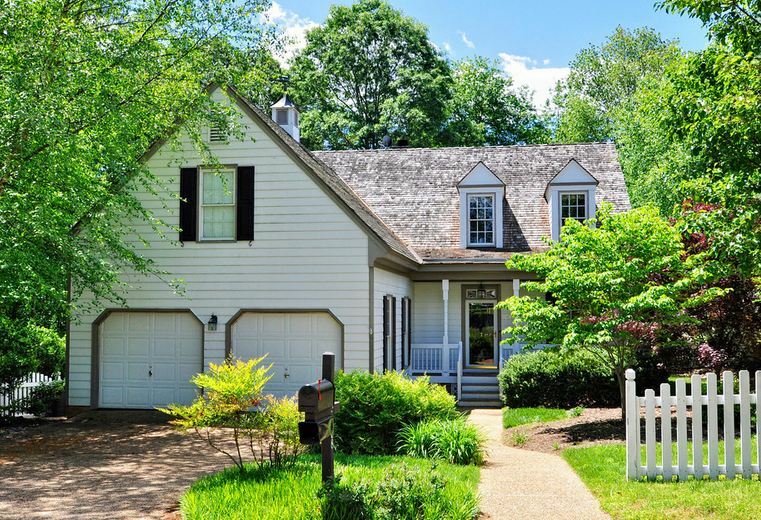 Click here to search to see a current list of all homes for sale in Ford’s Colony Williamsburg VA. Lot prices in Ford’s Colony currently range from $50k- $699k. Sale prices in the last 12 months ranged from $30k- $270k and averaged .88% of list price. Ford’s Colony is a gated community with access to the residential areas being permitted through manned and electronic gates. The main security gate is manned 24 hours a day. Overall, there are seven resident entrances conveniently located around the property. Residents are issued electronic gate cards that will open all unmanned gates. The Ford’s Colony security staff patrols the community 24 hours a day and they also manage a house check program which is very popular with residents. Owners who are out of town can request that their home be put on “house check” which will ensure that a security officer does daily walkarounds of their home during their absence. Want to spend the night in Ford’s Colony? Book a room at the Marriot inside of Ford’s Colony and explore the community at your leisure. I would be happy to meet you and show you the community when you stay at the Marriot. I can typically offer a “Discovery Package” discount for lodging. Ask me for more info. 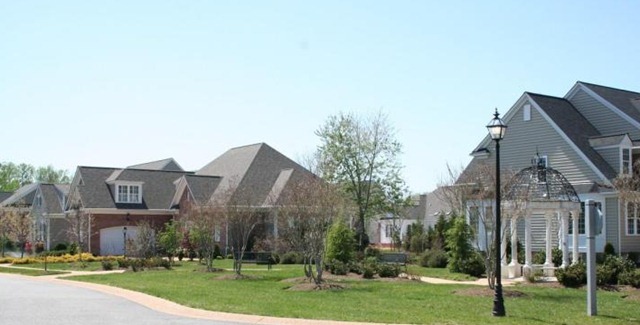 The community of Ford’s Colony is well situated, just five minutes from I-64, less than 10 minutes from a hospital and the center of Colonial Williamsburg, and less than 10 minutes from the Prime Outlets, one of the largest outlets in the US. Larger malls are about 20 minutes away in ( Newport News) as well as a regional airport. Train service is available with the nearby Amtrak station in Williamsburg. The pristine beaches of VA Beach, The Outer Banks of NC, The Blue Ridge Mountains, Washington DC are within an hour to 2.5 hours away. Here is just a sampling of the many social clubs at Ford’s Colony From A-Z . Aging in Place, Artists League, Bid Whist, Bosom Buddies, Bowling, BYOB, Caring Neighbors, CERT, Chess Club, Colony Auto Enthusiasts, Colony Kids, Colony Wine & Cheese, Computer & Technology Club, Craft Club, Dance Band, Dance Club, Dog Owners’ Interest Group, Duplicate Bridge, Fit for Life, Fly Fishing Club, Ford’s Colony Archery, Ford’s Colony Softball League, Ford’s Colony Softball ,Ford’s Colony Volunteers for Education, Friends & Neighbors, Garden Club, Genealogy Club, Golf and tennisDine Society, Golf Around, Healthy Cooking, Hospitality, Mah Jongg, Men’s Bible Study, Model Railroad Club, Monday Morning Bridge, Pickleball, Pilates Club, Pinochle, Round Robin Bridge, Sea Scouts, Silver Sneakers, Solitaires, Swim Team, Tai Chi, Tennis Club, Theatre Club, Trailblazers, Travel Club, Water Aerobics, William & Mary Fan Club, Women’s Bible Study, Woodworkers & Yoga. Joining a Club at Ford’s Colony provides a great way to meet new people! A community of beautiful homes in beautiful settings is the physical side of Ford’s Colony. But what makes the community a very special place to live is the variety of clubs and activities available. More than sixty! These are not simply amenities provided by the management. They are the heart and soul of Ford’s Colony. Residents founded them, manage them, and fill the membership rosters. So if you don’t see one that embraces your hobby, your avocation, your interest or area of volunteerism, you can easily fix that: just put together your own group of like-minded residents. The most picturesque golf course at Ford’s Colony. It presents many challenges to golfers of all abilities with water coming into play on 13 holes, a total of 9 doglegs and bunkers guarding every green. There are many elevations changes and the prevailing winds are usually howling, making this course play a lot longer than the 6,621 yards stated on the scorecard. Blue Heron A favorite to Ford’s Colony members, this continuous 18 consists of long and challenging par 3’s, fair and forthright par 4’s and intimidating par 5’s. Blue Heron provides some room for error off of the tee but makes up for it by having 17 out of 18 greens guarded by bunkers. Many of these holes are carved out of dense wetlands, which provide not only a unique golf course setting but a home to many different species of birds, fish and other aquatic life. The Marsh Hawk golf course was an instant classic when it opened in 1985. The traditional tree-lined fairways, undulating greens and the best finishing holes around, create a complete journey through the property. A par 72, measuring 6,650 yards from the back tees, Marsh Hawk’s greatest defense are narrow fairways and strategically placed bunkers. The real beauty of this golf course lies within the contour of the holes around natural lakes and elevation changes that can delude your depth perception.Marsh Hawk has played host to the 1998 and 1999 Virginia State Opens, Monday qualifying for the 2005, 2006 and 2007 Nationwide Tour’s Henrico County Open and the Monday qualifier for the PGA Tour’s Michelob Championship for 12 years straight.A variety of Membership options are available. Whether you’re an avid golfer that wants to play as much as possible, a casual golfer that maybe only has time to play on the weekends, someone who wants to learn the game or even someone with no interest in the game at all, Ford’s Colony Country Club has a membership for you. .Building Lots: For those choosing to build, home sites are available that range from a quarter-acre to over an acre offering golf course, nature preserve, or water views. Prices range from $60,000 to $1.25 million. Condos: The Eaglescliffe condominiums are Ford’s Colony’s first condominium project designed to fill a demand for care-free residential living.When complete it will consist of 84 Condominium units in 7 buildings; the first two buildings consisting of 24 units is complete.The condos range from 1,700 to over 2,100 square feet. Priced between the high $200’s to the $500’s.Centrally located only a short walk from the Country Club Eaglescliffe Condominiums include the same rich design traditions and luxury living features found throughout the community, including all brick exteriors.Each unit offers an open kitchen, flexible guest suite that is easily converted to a bedroom or office, luxury master bath, balcony, and a view of the community from every room. Eaglescliffe Condominums offer care-free master-planned residential living. They are located in the heart of the community, within walking distance to the award winning Country Club, tennis courts, fishing ponds, and walking / biking trails.With covered parking only steps to the front door and an elevator to your floor, our condos offer the best of single level living. The Links is a private neighborhood of custom designed townhomes which gently wind around the eighth hole of the Ford’s Colony championship golf course and the edges of a gorgeous lake.The mystique of a colonial village, the comforts of today and some of the best golf on the East Coast just outside your door. That is St. Andrew’s Village at Ford’s Colony. Situated on 54 gently rolling wooded acres in the heart of the community, St. Andrews Village is conveniently located to all the amenities Ford’s Colony has to offer. The award-winning Country Club is within walking distance of your front door. Designed by award-winning architect, Peter Hand, townhomes at The Links feature authentic colonial exteriors with clapboards, dormer windows, charming gas-like lanterns and cove molding. There are individual entrances with 18th-century style brick walks, brick terraces and landscaped courtyards. The Links is Ford’s Colony’s only colonial style townhome community. Consisting of 86 units, this neighborhood is accented by brick walkways, colonial style lighting, picket fences, and an abundance of mature trees and shrubbery. A pleasing and tranquil setting wrapping around some of the best golf on the East Coast.The Links townhomes are available in a variety of floor plans which range from 1,300 to 2,200 square feet in size, and are available in one story, one story with a loft, and two-story models. All have the warm, pleasant charm found in Colonial Williamsburg. Prices begin in the mid $200’s for resale townhomes .Note : While Townhomes at the Links offer designated assigned parking spaces they do not have garages. Your approach to Eaglescliffe takes you around a stately Belvedere and then through an unobtrusive security entrance. The elegance of this neighborhood becomes apparent as you drive along tree-lined streets fronting heavily wooded lots, perfectly placed on top of a high bluff with breathtaking views of lake and golf fairways. Magnificent golf and water views, intimate proximity to all that the Country Club has to offer, and unmatched exclusivity all make Eaglescliffe special. These properties are available for those among you that will only settle for the very best location on which to build your dream home. Only a premier location such as Eaglescliffe could do justice to magnificently designed homes. Situated adjacent to the award-winning Ford’s Colony Country Club and, you are within an easy stroll to all the club offers. Knob Hill is one of the newest areas of Ford’s Colony. Located off Ford’s Colony Drive near the Country Club consisting of nine, one to one and a half acre single family lots. 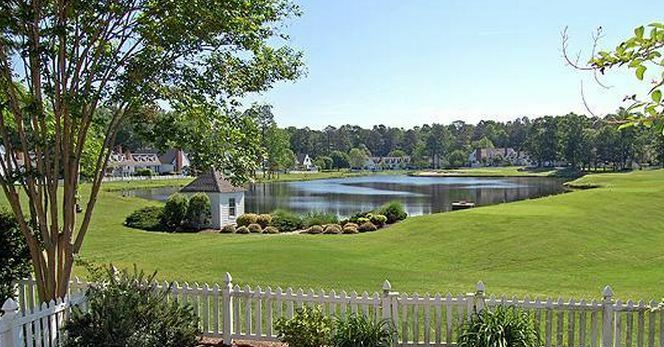 Each home site has a view of either Marsh Hawk golf hole #17 and a golf pond or Marsh Hawk golf hole #18. Offering the mystique of a colonial village, the comforts of today and some of the best golf on the East Coast just outside your door is St. Andrew’s Village at Ford’s Colony. 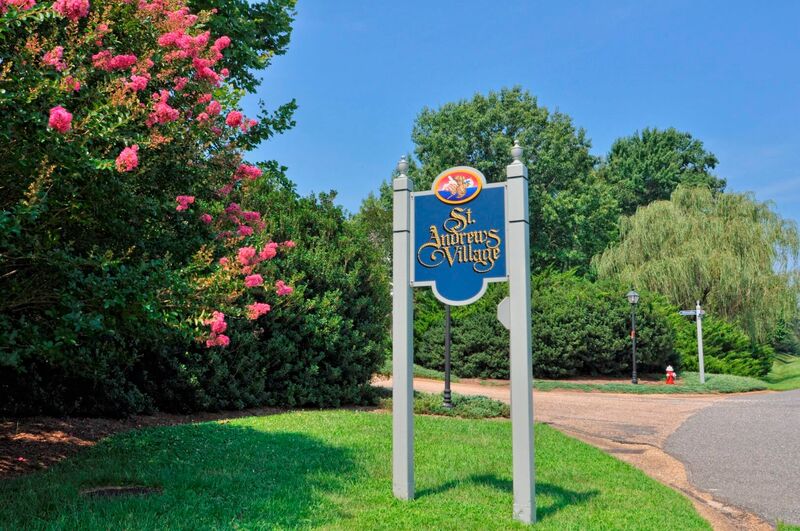 Situated on 54 gently rolling wooded acres in the heart of the community, St. Andrews Village is conveniently located to all the amenities Ford’s Colony has to offer. The award-winning Country Club is within walking distance of your front door. Designed by Architect Peter Hand, FAIA, St. Andrews Village initially featured 12 different floor plans ranging from 1,735 to 3,600 square feet. Each has been modeled after a traditional Williamsburg design. All floor plans include garages and pre-planned landscaping designed by master land planner Lewis Clarke. Prices for resale homes begin in the $300’s There are still lots available within St Andrews Village that will allow you to purchase and build your own custom village home.St. Andrews Village was unveiled in July of 1988 as a planned Colonial “courtyard home” community, and the completion of the four model homes has been a major element in the success of St. Andrews Village.Upon it’s unveiling St. Andrews Village at Ford’s Colony in Williamsburg was selected for one of only six design awards at the eighth annual American Society of Interior Design awards celebration of the Atlanta Historical Society. The interiors of the four model courtyard homes of St. Andrews Village were designed by the Atlanta firm of Hand, Crain and Jones, Inc.In presenting the award, the jury of noted New York ASID judges praised The St. Andrews interiors for adhering to authentic Colonial proportions and detailing, while also being creative in appeal to a diverse public market.Interior designer Wrenda Crain accepted the award and credited the developers of Ford’s Colony for the insight to pursue elaborate millwork, authentic detailing and custom built-in cabinetry as standard building amenities. 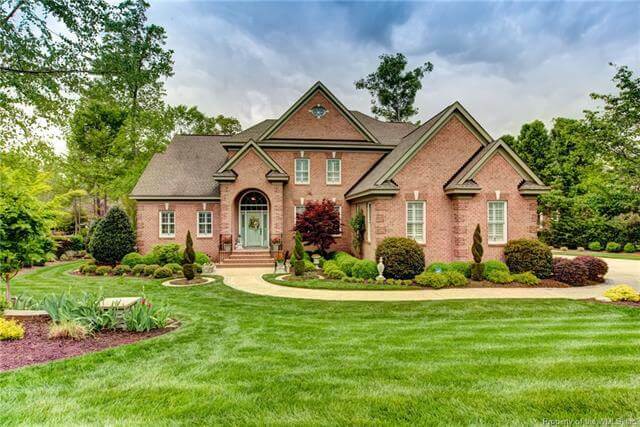 sits on 22 gently rolling acres of Virginia land, scattered with 56 natural home sites and embellished by an inviting golf course. From the grand bricked entrance to the streetscapes of flowering trees and shrubs to offer seasonal color throughout the year and the avenues complemented by roll top curbs and gutters everything in Turnberry is designed to combine the elegance of the past with the luxury of today.The homes within Turnberry offer designs inspired by the appealing classical and colonial architecture of centuries past. 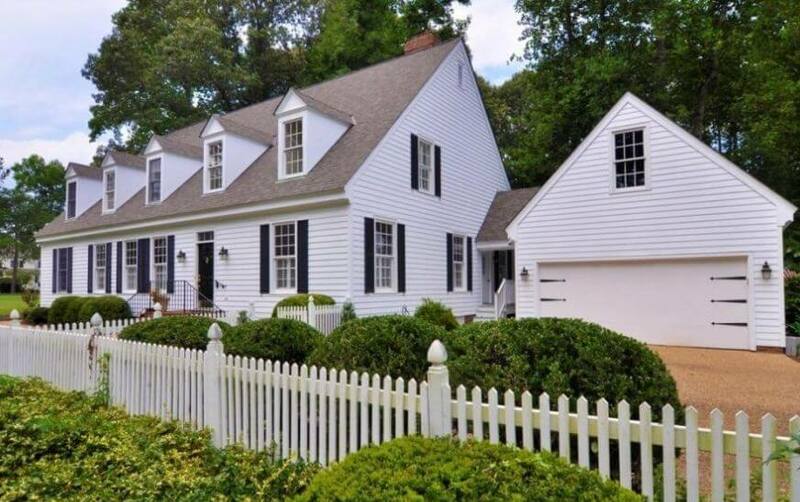 These home plans complement the neighborhood while maintaining all the charm of a colonial village. is 125 gently rolling acres of Virginia woods and pleasant ponds scattered with 141 natural home sites. The distinction of a Western Gailes address is evident the moment you or your guests arrive at the entrance with its impressive brick and wrought-iron boundary walls. Some homes in Western Gailes overlook Western Gailes preserve property, a quiet pool of water or shelter among the maples, oaks and pines. 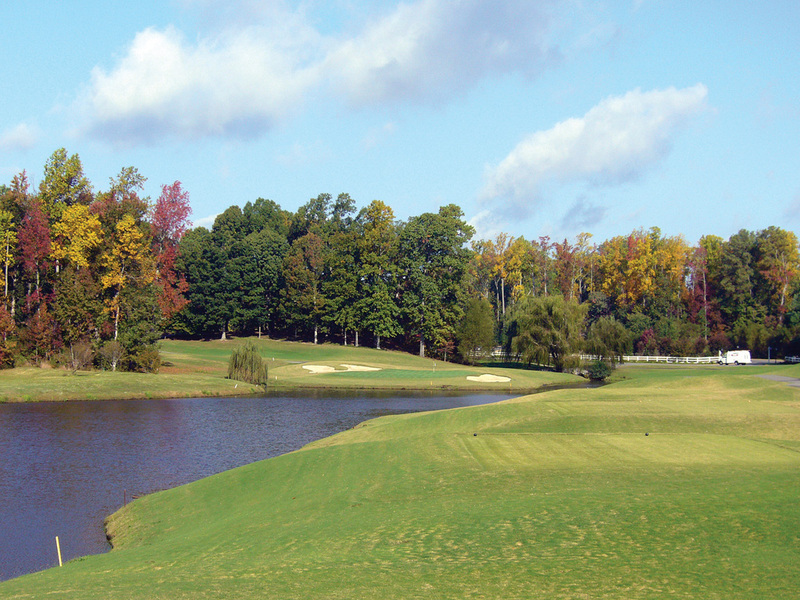 is bordered by four of the country’s best golf holes and is situated on 29 gently rolling acres of Virginia hardwoods. Nestled among holes 5,6,7, & 8 of the acclaimed Blackheath Course at Ford’s Colony, 65 natural home sites offer convenient access to all the community’s amenities. Nearly three fourths of the home sites overlook the golf course and/or a pleasing golf course pond. Located adjacent to the second Ford’s Colony recreation center, Westbury Park is an active family’s dream neighborhood. Imagine having your own swimming pool, tennis courts, and recreation building conveniently located just outside your front door. Nestled on a ridge overlooking the recreation park, all 12 home sites are just a short stroll from the wildlife preserve and the Chisel Run Pond which is excellent for fishing and nature watching. Home sites here range in size from 1/3 – 3/4 acre. 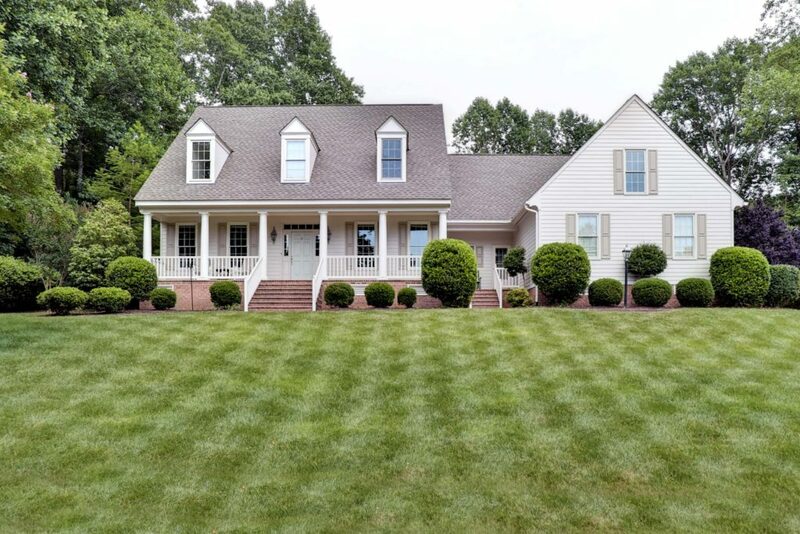 North Turnberry is 14 gently rolling acres of Virginia woods and pleasant ponds scattered with 12 estate home sites and embellished by an inviting golf course. Southport at Ford’s Colony Enter Southport over a hand laid brick entrance, through magnificent double iron gates, reminiscent of those grand plantations along historic Route 5. 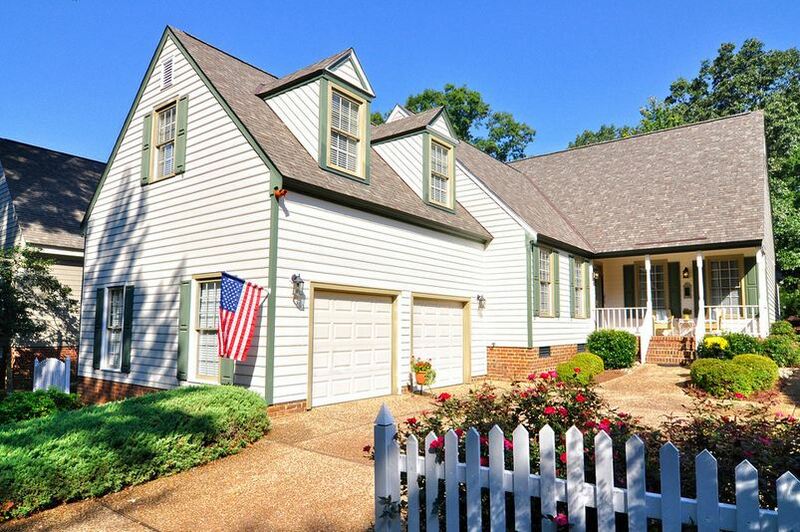 This neighborhood includes 68 acre+ home sites nestled in Virginia hardwoods. Southport is the newest neighborhood within Fords Colony. Nottingham Place is the most unique gated neighborhood within the 3,000-acre, award-winning, master-planned community called Ford’s Colony at Williamsburg. Each of the 72 home sites in the neighborhood feature classic residential architecture most of which is based on home plans, designed exclusively for Southern Living©Living in this gated community is Worry Free & Low Maintenance. Think of another way to spend your time because you won’t be doing yard work! 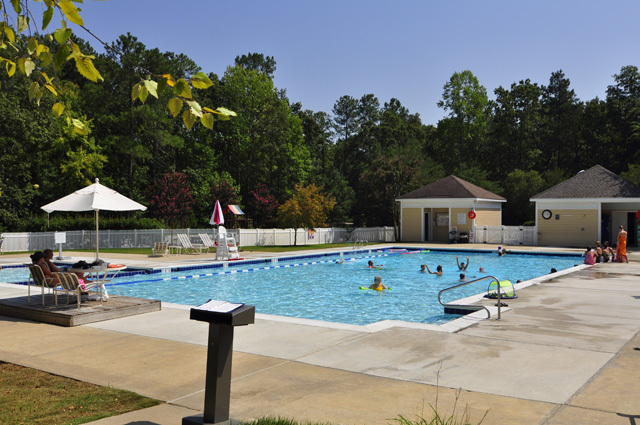 Fees include pool, security, trash pickup, lawn mowing, edging, trimming, fertilizing, weed control, mulching, irrigation maintenance, snow & leaf removal.Nottingham Place takes “The Good Life” to a whole new level…because here, the good life is maintenance free! In this luxurious “community within the community,” you never cut grass. You never trim hedges. You never fix the gutters or paint the windows. You just relax and enjoy your beautiful home and spacious yard. And Ford’s Colony does the rest. Westport is the development across from the Manchester Gate on Centerville Road. It contains 102 Single family residences on 3 to 5 acre lots on its 430 acre tract bordering Gordon’s Creek. Westport owners are part of the Fords Colony Homeowner Association as well as a sub-association known as Westport Neighborhood Association.Westport is unlike anything else Ford’s Colony has to offer. Nowhere else can you find this much privacy in a master planned community. Westport is the latest residential section to be developed in Ford’s Colony. Unlike anything else in Williamsburg, Westport at Ford’s Colony offers a distinctive opportunity to the luxury home buyer: the amenities currently enjoyed by existing Ford’s Colony residents plus estate size lots ranging in size from 3 to over 5 acres. 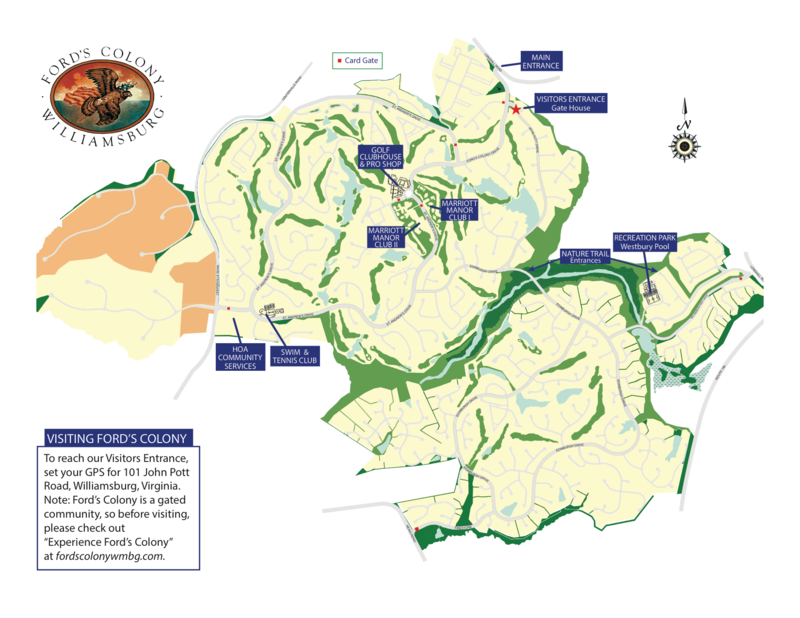 Homeowners in Westport will have access to the amenities of Ford’s Colony including two community recreation centers – each with a pool, tennis courts, and clubhouse, and a 200-acre wildlife preserve with nature trails and over 12 miles of paved walking and bicycle paths. In addition, a 24-hour security service provides community patrols and a “house check” program..